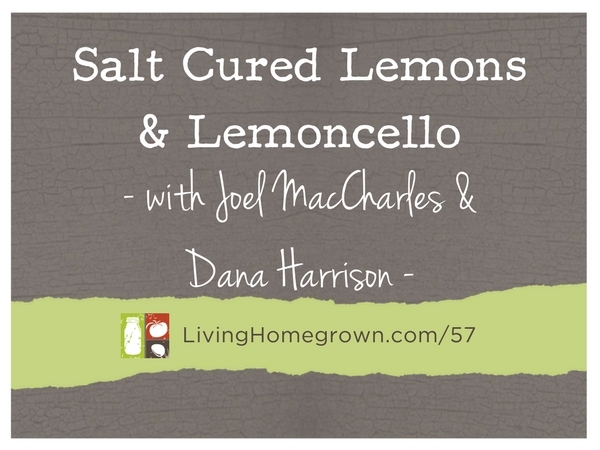 LH 57: Salt-Cured Lemons & Limoncello With the Authors of Batch! Making Salt Cured Lemons & Limoncello with the Authors of "Batch"
Simple Tips and Techniques for a Well Preserved Kitchen! You know how you can meet some people for the very first time but instantly feel like you’ve been friends forever? Such was the case for the two guests I had on this week’s podcast. I interviewed Joel MacCharles and Dana Harrison of Well Preserved. They not only run one of my favorite blogs, they are also the co-authors of a brand new preserving book called Batch. We’ve know “of” each other for many, many years because we each started our respective blogs about the same time in 2008. But we had never officially “met” until I contacted them about coming on the podcast. They were just as fun as I expected them to be. The best part of this story is that because we wanted to discuss and share SO much preserving info, we decided to make this a two-parter! Which means, YOU get twice the food preservation takeaways. This episode (part one) is all about their new book and 3 different (but SIMPLE) ways you can preserve and use lemons. Part two (next week) is all about how to use salt and smoke to preserve food. What the heck is bourbon-cello??? Listen, preserving is SO much more than jam and pickles. And that’s what Joel and Dana share in this one. These two make a great team. Joel is a home cook and writer with a special focus on preserving food. His recipes are always creative with top-notch flavor. Joel’s writing appears online and in print and he is a former TEDx Toronto speaker. Dana is essentially Joel’s “wingman” in the kitchen – prepping, testing and tasting (of course) all of his creations. She is also a professional graphic designer with over 20 years under her belt. 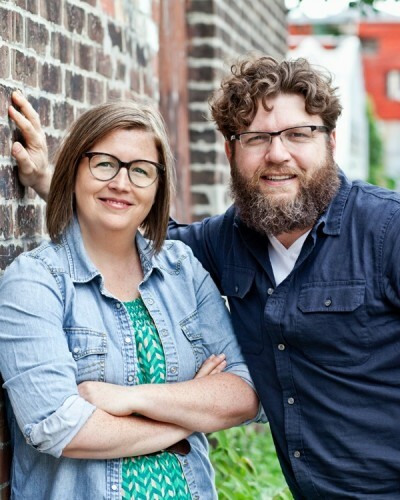 Together, they co-created Well Preserved – a popular food blog that features over 1,800 articles and 700 recipes. Joel dreams up most of the recipes and Dana is the creative director of all of the content. He makes it taste good and she makes it look good. 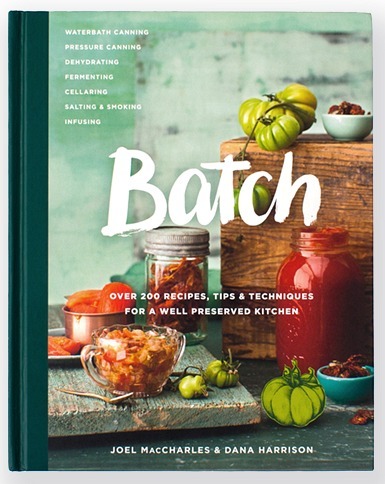 Their new book, Batch* was just released and it’s a good one. But what I really love is how the book is not laid out like other cookbooks. Where most books break up recipes by “jam” and “pickles”, Batch is laid out with two separate parts. The first half discusses all the different preservation techniques. And the second half categorizes everything by food. Listen above or read the transcript below for all the details. * Denotes an affiliate link. I hope there is a way for you to get credit for the fact I just ordered the book Batch based on listening to your podcast. I started getting your podcast about 4 weeks ago and am enjoying it tremendously. Thank you for a great product. Thanks Jeff! I’m so glad that you got the book AND that you are enjoying the podcast. I’m so glad you sound it!